I would say the majority of my skincare items serve a specific purpose - oil control, toning, anti-aging, the list goes on and on. Sometimes I need a gentle soothing cleanser with no other purpose other than to clean and refresh my skin. I've been loving the Bourjois Cleansing Cream for doing just that. I was introduced to the Bourjois brand through BeautySpin, which carries a wide selection of their beauty products. I never even knew they made skincare, so when I discovered this cleanser I knew I had to try it. They also make toners, micellar waters, and makeup removers, all suited to different types of skin. My skin is oily and sensitive so this cleansing cream was my top pick. I was pretty impressed with their blush and concealer, but skincare is fairly hit or miss, especially when companies try to multi-task within their line. Fortunately, I was pleasantly surprised by this cleanser! 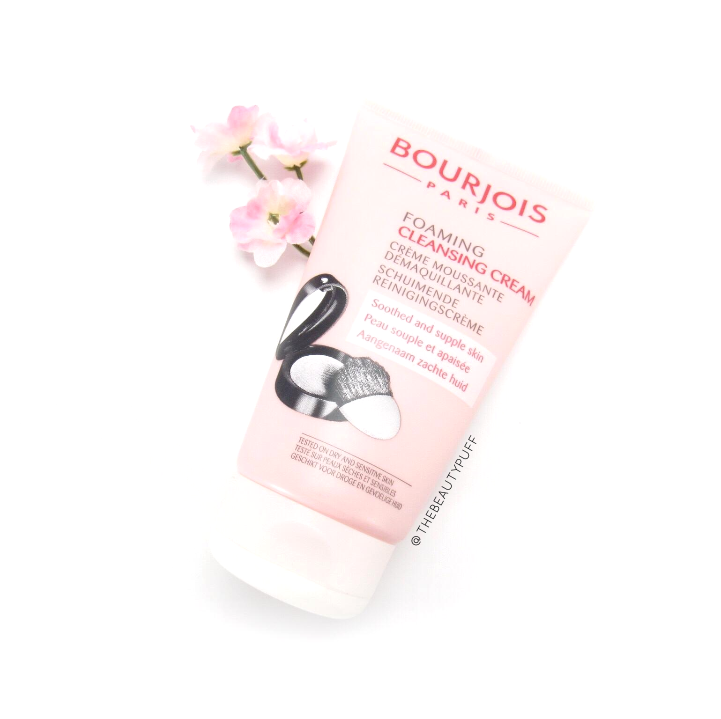 The Bourjois Foaming Cleansing Cream has cotton extract and rose water to soothe and cleanse skin. While this product definitely removes makeup, I've been using it when I wake up and right before bed for a gentle cleansing that leaves my skin soft and smooth. I also love the light, fresh scent from the rose water. Every time I go to wash my face I have to smell it before I start, it's so soothing! While I'm definitely enjoying this cleanser now during the summer, this is the type of cleanser I would gravitate toward in the colder months when my skin is particularly dry. It doesn't leave the skin feeling tight or stripped of moisture. My skin feels clean, hydrated and smooth after every use. It's definitely become an everyday essential for me! You can find this, along with even more Bourjois products, on BeautySpin's website below!